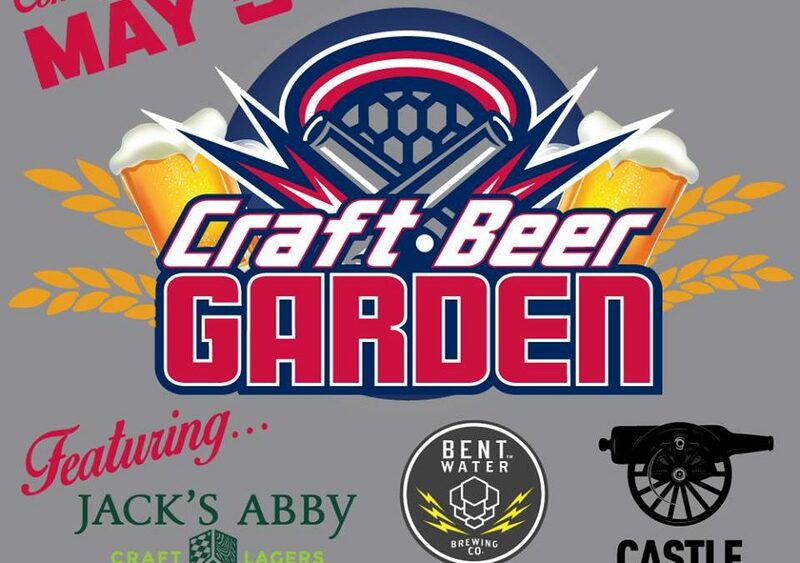 The Craft Beer Garden will feature local brewing companies, including Bent Water Brewing Company, True North Ales, Jack’s Abby Craft Lagers, and Castle Island Brewing Company. All participating breweries will showcase their most recent lagers, porters, and IPAs for Cannons fans to enjoy. In addition, Bent Water Brewing and Castle Island Brewing Company will brew exclusive Cannons-themed beers to celebrate these partnerships. Bent Water Brewing will be brewing an exclusive “BOOMsquad” beer that will only be available at Cannons home games. Based in Lynn, MA, Bent Water has an onsite taproom with 13 rotating taps. The company cans and distributes their own beer and was the first brewery east of the Mississippi to use concrete vintner tanks, which were previously only used for wine fermentation in Sonoma, California. Castle Island Brewing Company will also showcase an exclusive Cannons beer, brewed by Cannons players and available only in the Castle Island taproom. Castle Island opened in December 2015 in Norwood, MA, and pride themselves on brewing beer that attracts both long-time craft beer drinkers as well as entry-level beer drinkers. Cannons fans will find a quick connection to Castle Island, as their logo represents their namesake – Castle Island in South Boston with its Revolutionary War cannons. Located just 19 miles west of Harvard Stadium in Framingham, MA, Jack’s Abby Craft Lagers is known for focusing entirely on craft lagers, using traditional German brewing techniques. The company was founded in 2011 by three brothers, Eric, Jack, and Sam Hendler, and was named the Best Brewer Tap Room in Massachusetts by RateBeer for the past three years. Jack’s Abby will showcase their House Lager, Hoponius Union and their new Blood Orange Wheat Lager at Cannons games. The True North Ale Company opened in the fall of 2017 in Ipswich, Massachusetts by the father-son duo Jake and Gary Rogers. The brewery has a 15,000 square foot facility with an onsite taproom and patio, where customers can purchase growlers or cans of the company’s product. True North Ales has a long history with the Cannons, as Gary Rogers is an original team owner and is currently part of the Cannons’ operating group. All craft beer partners will participate in the Cannons’ third annual Lax and Lagers event, which takes place prior to the Cannons home game on July 28 at 3:00 pm. To celebrate the opening of the Craft Beer Garden, tickets to the third annual “Lax and Lagers” beer tasting event will be on sale Friday, April 6, at an early bird rate through the month of April. For more information, visit BostonCannons.com/events. The Boston Cannons are a Founding Member of Major League Lacrosse (MLL) and one of the most recognizable global lacrosse brands. Led by Rob Hale and his ownership team, the Cannons won the 2011 MLL Championship, have eleven playoff appearances and hold a league record with five MLL MVP’s over fifteen seasons. Off the field, the Cannons provide a game day experience second to none and annually top the MLL in attendance and partnership engagement. For more information, call the front office at 617-746-9933 or visit BostonCannons.com.